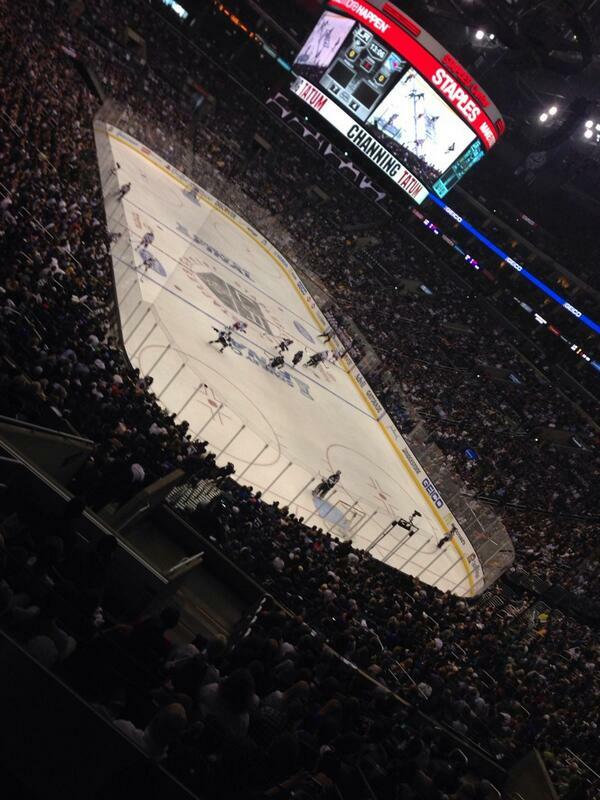 End of first period: Rangers 2, Kings 1. Shots were 14-13 for Kings. Kings get back in it on Kyle Clifford's first goal since Dec.11. NYR, 2-1, but no transplants here to do the "hey hey" chant. Dream start to the series for @NYRangers . @LAKings start a little sloppy. But at 2-1 it is still wide open. So saddened to hear about the passing of Don Zimmer. A special guy. Really thought he'd go on forever. Lived an incredible life. 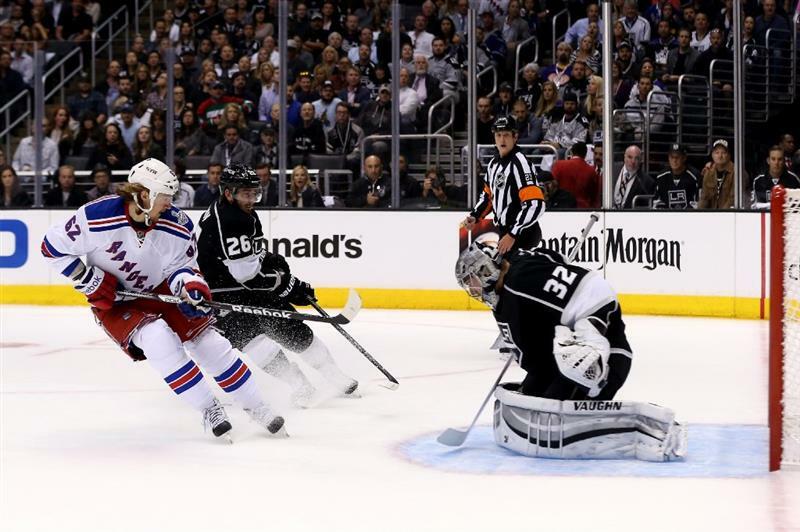 Carl Hagelin scores a goal that bounced off the Kings' Slava Voynov. Ryan McDonagh for NY: plus-2, assist, game-high 10:43 of ice time, two hits. 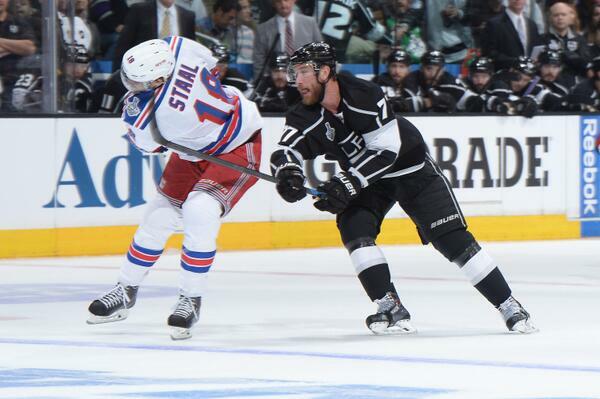 Kings credited with 23 hits in first period, to nine for Rangers. So far, by a 3-1 margin, seeing more @NYRangers Leetch sweaters on the concourse than Messier. Several hundred Rangers fans at Staples. McDonagh played 10:43 in first period. Don't know if somebody's out but the Kings lines are all jumbled: 74-11-14, 70-28-73. Second period underway. Long change for both teams this period. We will see if it is a factor. Now a Rangers penalty. Derek Brassard bashed Dustin Brown to boards, 6:45 in...Brown asks for new helmet. Vindication = emotion by Doughty when he slams glass after tying goal..
9 seconds after the #LAKings goal, Brassard heads to the box for a brutal board on Brown.